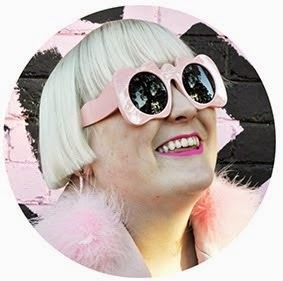 Fashion Hayley: Welcome to my design blog! This is my new Style Blog. 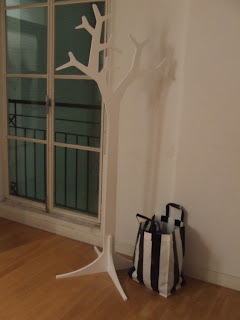 It will feature my current Fashion and Home loves, ideas, inspiration and projects. 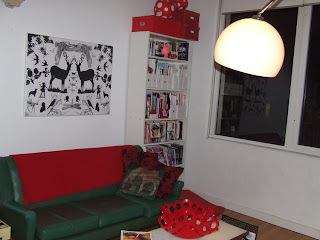 I live in Melbourne, Australia with my husband who is an interior design student. 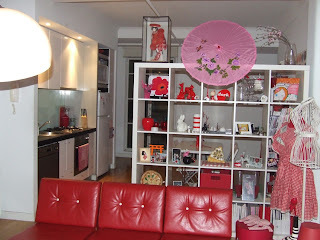 We just got back from living in Tokyo, Japan for 1 year, so our style is very Japanese inspired. I studied at art school, but currently work in Education. I hope to open a shop with my designs and friends designs from Japan...or maybe just go back and live there. Who knows. But ok so this is a Design Blog, not a life blog. There are a few things we want to change. 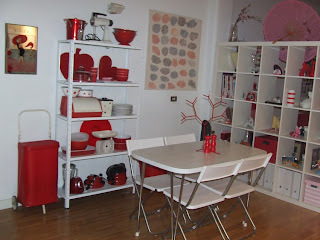 1st we want to get a new Dining table. 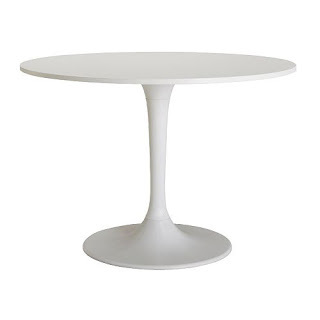 I like the Ikea Docksta round table. Its only $279, and it will really suit our mod/contemporary style. 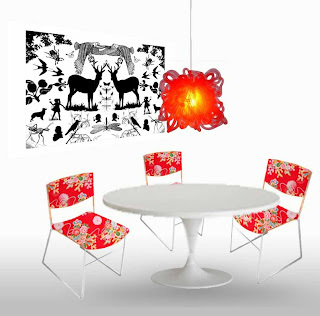 Recover them with vintage Kimono fabric in red to suit our colour theme. Also we need some pattern in that part of the house as right now its kinda dull. I made the picture to see what it will look light. 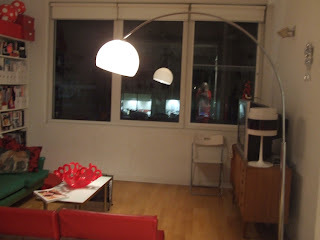 My hubby wants to make a hanging light to go over the table with the cord visible and going into the plug (we are renters so cant actually get it fitted into the ceiling) I'm not too sure about having hanging cords, but he says its the "height of design right now" sooo yeah why not! Plus the kitchen light is broken and it doesn't look like the landlord is ever going to fix it, so we need something! Hopefully I will win the chairs for not too much money as I'm flat broke right now! We also want a new couch to replace the green one. Right now that area is too "Christmasy" with all the green and red. BUT we don't want another red couch, so we were thinking black or white...but white would be too hard to clean. What do you think? A nice day out in St Kilda. I wore my $10 gingham dress from Tokyo, with my new Camberwell Market belt also $10, black leggings from Kinji in Harajuku Tokyo, old shoes from QBF Melbourne and a my lovely basket bag which was a gift from my hubby. Oh and my sunnies are from Topman in Harajuku Tokyo.